In the midst of balancing parenthood, a household and work, life can become overwhelmingly hectic. As we become more inundated with life’s challenges, it can become difficult to make faith as much of a priority as we’d like. This is especially difficult for our children, who are still navigating life’s balancing act and their understanding of God’s place in their life. The presence of faith is one of the most significant relationships we will have in life. For this reason, it’s important to begin incorporating a steady interaction between your child and faith into their daily routine. This will help to make faith a priority, one they can easily sustain as they grow older. Attending church isn’t the only way to interact with faith. God’s word should extend beyond our weekly service and into daily practice. When making faith a priority, your child should feel the presence of practice in their general lifestyle, radiating not only from their actions but also their attitudes. Encourage your child to begin their day on a positive and gracious note. When you go to wake them up, take a moment to share three things you’re grateful for that day in order to prompt the practice. Ask them to share their three as well. Not only will this help to place the day ahead in perspective, but it will also serve as an opportunity to bond. Help your child understand that being thankful doesn’t need to stop here. To walk in God’s light is to live in a constant state of gratitude and humility, which requires mindfulness. Carve out a moment in your week to make gratitude journals with your child. Get blank moleskine journals and art supplies to decorate the covers with. This will provide them with a designated place to jot down moments and things they are grateful for as they occur throughout each day! Having a fun journal they’ve personalized will provide a colorful reminder to remain mindful of gratitude, even in the midst of their schedule. End your night as you began your day- with an abundance of gratitude. Before resting, help your child reflect on their day. Remind them to, firstly, be appreciative for another day and recognize all of the things they were thankful for when they opened their eyes. After a long day, it can be tempting to climb into bed and go right to sleep. Help them understand the importance of nightly prayers as a way of reconnecting with God and His teachings. In order to keep them accountable, make a point of doing your prayers with them until it becomes a regular part of their routine! There’s a reason Bible study exists. Its scripture and God’s teachings are immensely dense with value and therefore take much time and thought to digest. Sometimes, even adults who have practiced living with its guidance have difficulty following its teachings on a regular basis! Simplifying its lessons and helping your child focus on one per day will provide the opportunity to seamlessly incorporate faith into their lifestyle. Additionally, the best way to learn is through practice, giving your child a firsthand understanding of how they can best represent His vision. (Ephisians 4:29) Do not let any unwholesome talk come out of your mouths, but only what is helpful for building others up according to their needs, that it may benefit those who listen. Encourage your child to set the goal of making kindness and intentional part of their week. Challenge them to challenge themselves to go above and beyond to lift the spirits of those around them. (Proverbs 13:20) Walk with the wise and become wise, for a companion of fools suffers harm. Encourage them to advocate for themselves and their morals. Peer pressure can begin early on. Helping your child build the strength to separate themselves from those who will compromise what they stand for will allow them to better act on God’s words. At the end of each day, check in with your child about their understanding of the verse and how they’ve acted on its message. Connecting actions to scripture will condition faithful behaviors into their life. It’s easy to falter when faced with hardships. It is only human to feel defeated when something goes wrong. Those who have strong faith feel supported during these moments, allowing resilience despite great adversity. This resilience is something your child will need as they grow older and life becomes increasingly full of unique adventures. 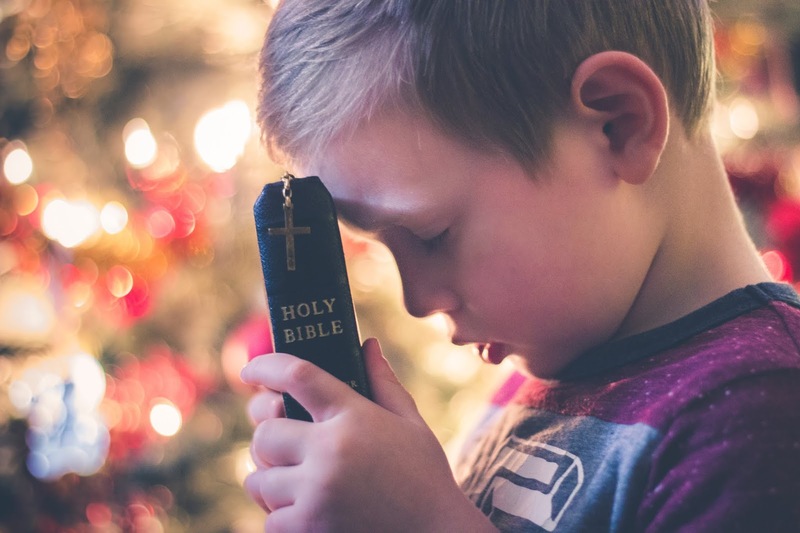 When something goes wrong, regardless of its severity, provide your child with some faith-based coping mechanisms they can use to alleviate anxiety surrounding these situations. Help them understand that everything provides some blessing for our life, even if they don’t see it immediately. God’s work is not always obvious, but having faith that there is a greater plan and it will all work out will allow them to place negative situations into perspective. Work with them to condition this mindset into the way they regularly approach adversity. With time and patience, they will be able to face all challenges with grace.